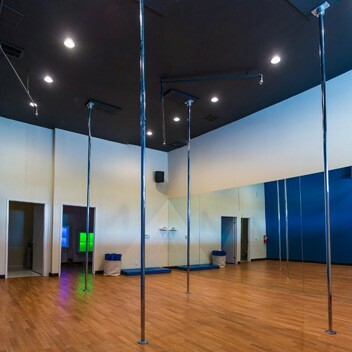 Our custom built studio in Brea, offers you the ideal facility and environment to begin or continue your pole journey. Located just one mile north of Downtown Brea on Brea Blvd, Inversion is conveniently a few minutes from the 57 freeway Lambert Ave. exit. 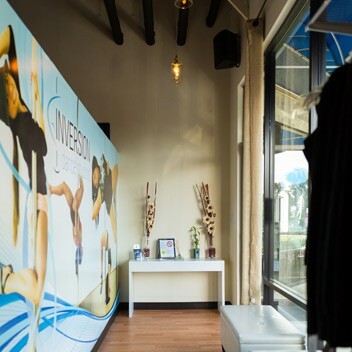 Inversion’s intimate setting is home to 4, 14-feet high gleaming poles to provide students the best pole training facility in Orange County. Ample parking is always available and our studio is equipped with its own private restroom, a waiting area in front of the studio and a storage room for student belongings. Plenty of yoga mats are available for you to use, and our wall-mounted surround sound speakers will immerse you and your students into their dance. In Addition to rehearsal space rentals, our facility can also be rented for your occasion: co-ed parties, company events, holiday parties, birthdays, fundraisers, and seminars. $45/hour, or $40/hour for 3 or more hours at a time. There is a 5 hour cancellation policy. 50% rental deposit must be paid in advance and refunds are only given if there are cancellations before the 5 hour policy. We do request a copy of your drivers license and proof of liability insurance if you are independent teacher. 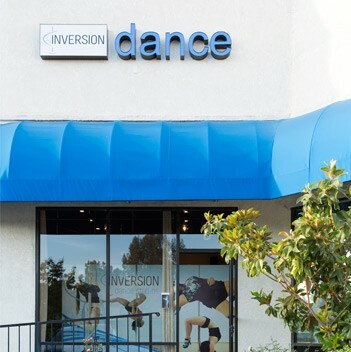 Unfortunately, we are unable to offer rentals for classes that may be a conflict of interest to Inversion’s service offerings. To rent our studio, please call Jenny on (626) 826-6226 or click below to e-mail us.